You have the choice to redeem your REWARDS POINTS as RCBC Bankard AIRMILES! Enroll in the RCBC Bankard AIRMILES* Rewards Program to convert your current and succeeding REWARDS POINTS to RCBC Bankard AIRMILES. Then, exchange your RCBC Bankard AIRMILES for FREE FLIGHT/S by converting your RCBC Bankard AIRMILES to PAL Mabuhay Miles, GetGo Points, Asia Miles or AirAsia BIG Points. Redemption starts at 1,500 RCBC Bankard AIRMILES. *Requires prior enrollment to the PAL Mabuhay Miles, GetGo, Asia Miles or AirAsia BIG Loyalty Program. 1. The RCBC Bankard AIRMILES Program is open to all Visa, MasterCard, JCB, and CUP Classic, Gold, Platinum, Diamond and World RCBC Bankard principal cardholders whose accounts are active and in good credit standing as determined by the bank at the time of enrollment. JCB MyDream, Co-branded Cards, Corporate Cards, and Private Label Cards are not eligible to enroll in this program. 2. An eligible principal cardholder may enroll in the RCBC Bankard AIRMILES Program by calling Customer Service Hotline at 888-1-888, or via email to service@rcbcbankard.com. 3. Upon enrollment in the RCBC Bankard AIRMILES Program, the account of the cardholder, will be disenrolled from its existing Rewards Program. All points earned and accumulated shall be converted as Airmiles at a conversion rate of 1 point = 1 AIRMILES . 4. All transactions made by supplementary cardholders will earn AIRMILES but shall be credited to the principal cardholder’s account. 5. RCBC Bankard AIRMILES do not expire. 6. AIRMILES may be redeemed as PAL Mabuhay Miles, GetGo points, Asia Miles or AirAsia BIG points at a conversion rate of three (3) RCBC Bankard AIRMILES = one (1) Mabuhay Mile/GetGo point/Asia Miles/BIG point. 7. Minimum Airmiles required per redemption is 1,500 Airmiles. 8. Redemption of Airmiles may be done in increments of 1,500 Airmiles. 9. Airmiles may not be converted into Cash, Gift Vouchers, and Rebates. 10. Airmiles already redeemed as Mabuhay Miles/GetGo points/Asia Miles/BIG points may no longer be converted back to RCBC Bankard AIRMILES . 11. Cardholder must be a member of either the Mabuhay Miles, GetGo Program, Asia Miles Program or BIG Loyalty Program to be able to redeem his/her AIRMILES as Mabuhay Miles, GetGo points, Asia Miles or BIG points respectively. Redemption of AIRMILES to a Mabuhay Miles/GetGo /Asia Miles/BIG Points membership account other than the cardholder’s is strictly prohibited. 12. Cancellation of redemption request is not allowed. 13. AIRMILES converted to Mabuhay Miles/GetGo points/Asia Miles/BIG points shall be subject to the terms and conditions of the Mabuhay Miles, GetGo, Asia Miles or BIG Points programs accordingly. 14. RCBC Bankard shall not be held liable for any problems, issues, or accidents that may arise after the cardholder has transferred and used his/her AIRMILES to redeem Mabuhay Miles/GetGo/Asia Miles/BIG Points. 15. Any applicable airport tax and other charges charged by Philippine Airlines (PAL) or Cebu Pacific will be shouldered by the cardholder. 16. RCBC Bankard reserves the right to forfeit accumulated Airmiles should there be fraud or abuse relating to the earning and redemption of Airmiles on the part of the cardholder. 17. RCBC Bankard reserves the right to change at any time without prior notice the required card spend to earn Airmiles and/or points required per redemption. 18. RCBC Bankard reserves the right to modify or amend the terms and conditions of the RCBC Bankard AIRMILES Program at its absolute discretion at any time, with prior notice. 19. 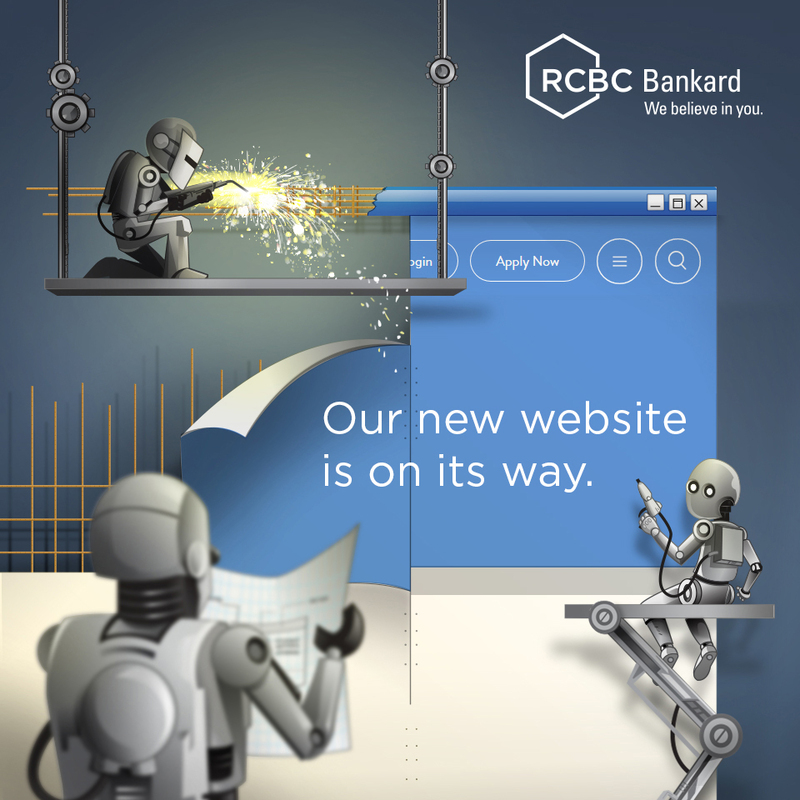 All other terms and conditions governing the use of RCBC Bankard credit cards apply. To enroll in the RCBC Bankard AIRMILES Rewards Program, call RCBC Bankard Customer Service Hotline at 888-1-888, or email service@rcbcbankard.com.